Walker Pickering is an artist whose photography and transmedia work is concerned primarily with memory and its effects on the psyche. A native Texan, he lives in the Midwest where he teaches photography, video, and bookmaking at the University of Nebraska. His work has been exhibited throughout the United States and internationally, and is included in a number of private and public collections, including the Museum of Fine Arts, Houston and The Wittliff Collection of Southwestern & Mexican Photography. I joined the high school marching band when I was 14 years old. I’d already been a student musician, but it was this new combination of performing music in motion that affected my perspective and ultimately changed the trajectory of my life. A kind of family formed around me at a time when it was most critical, and through this new structure and discipline, I began to better understand who I was as an individual. At first glance, it seems these groups should no longer exist. With a decrease in civic engagement over the past few decades, a decline in popularity was poised to follow. But in America, the band became inextricably linked to football, so it persists as anachronism. 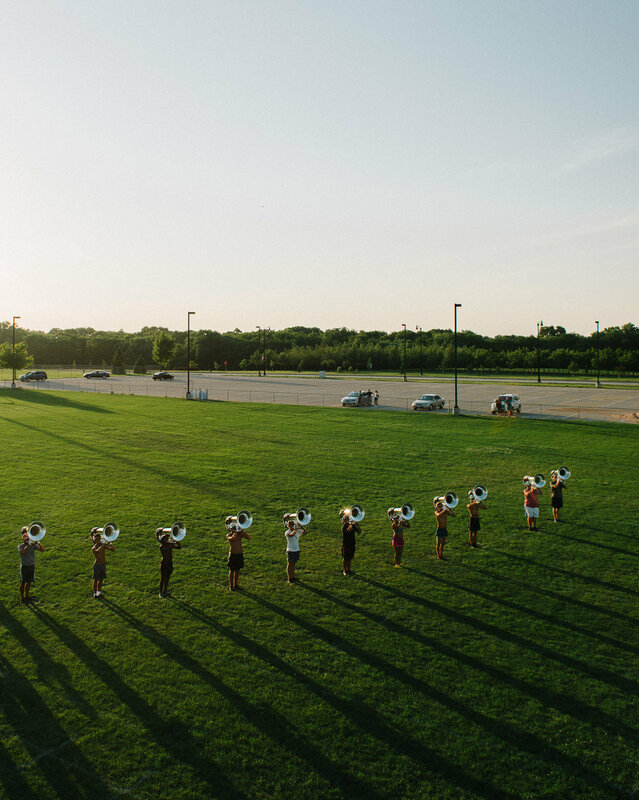 Even independent marching groups called drum & bugle corps manage to survive and flourish despite the high cost of membership. With arts budgets under attack in the US, vital programs like these are at extreme risk, especially in less affluent areas where they’re needed most. 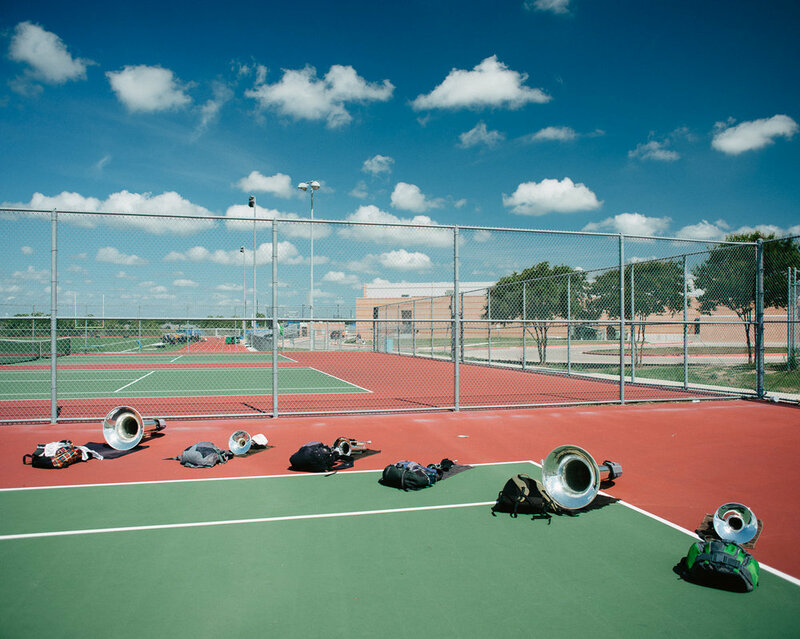 Marching band isn’t about music or marching, it’s about people learning to pursue a common goal that transcends their own individual efforts. At the undergraduate level we offer both a BA and BFA in studio art, and while we have “emphasis areas” students generally cover a broad range of disciplines in their classes. We have a relatively small program for such a large university, which ensures plenty of attention from faculty. In addition to the traditional B&W darkroom and modern digital printing lab, we also offer a studio lighting course, a time-based media course (video, audio, performance, etc. ), and special topics on Landscape, and Photo Bookmaking. My colleague, Professor Dana Fritz, also offers a study abroad course in Japan every other summer. Our graduate program is competitive and tight-knit. There are approximately 6 MFA candidates in our 3-year program at a time, which means we try to accept no more than 2 per year. These range from partially- to fully-funded spots, and often involve teaching as instructor of record. Students with a full graduate teaching assistantship teach their own course every semester after their first year, for example. All of our grad students have generous private or shared studio spaces. I like to say that our graduate program is the kind of program I wish I’d attended. I teach Beginning Digital Photography, Studio Photography, Time-Based Media, and a special topics course on Photography Bookmaking every few years. I work very closely with our graduate students, although never in a traditional classroom format. They take formal classes, but our interactions mostly take place in regular group critiques and studio visits, as well as frequent informal visits. Our program is holding on firmly to its roots in traditional analog photography, with no plans to dismantle our darkroom. However, most of our graduate students are working digitally, with some notable exceptions like those shooting medium or large format. Even then, they tend to scan and print digitally. Still, there are private graduate darkrooms available. We have an alternative process darkroom that is underutilized at the moment, but that could always change depending on student interests. Time-based media is of particular interest to me, especially in my own research, but it’s one of my favorite courses to teach as well. The class ends every semester with a performance of student films at our on-campus movie theater, which is always exciting. Students are expected to print, especially at the upper level, when that is what’s appropriate for the work. Grad students have unlimited access to our digital darkroom, and they administer limited hours for undergraduate use during the week. There is an additional lab upstairs shared by the entire School of Art, Art History & Design with extended hours. The digital darkroom consists of three printing stations connected to two Epson 4900s and one Epson 9900. We have a Nikon Coolscan 9000 with Silverfast for scanning up to medium format film (this is the combination I use for my own film scans and it’s fantastic), and I allow limited use of my personal Imacon Flextight for selected students wanting to work with large format film. We also have an Epson v750 flatbed scanner. The wet darkroom is outfitted with eight Omega 4x5 enlargers in really good shape. The studio facility has two black-box shooting bays. It’s an odd space, but works for most things, especially if students set up v-flats to divide the space. We have two Hasselblad medium format digital cameras (30 and 40 megapixel backs), and two fantastic Broncolor Senso light kits with up to 3 heads each, along with a slew of lighting adapters. For undergrads, the crits happen in class and are usually limited to enrolled students, the professor, and the graduate teaching assistant, if there is one. Most of our Hixson-Lied Visiting Artists conduct studio visits and meet with classes, in addition to their formal lectures, but graduate students are also able to go to lunch and often attend a post-lecture party as well. We also have numerous additional visiting artists throughout the year that may have less-involved visits, but are still incredibly valuable to students.